When a child enters a library, she finds a cozy place to learn, to engage with friends and to let her imagination run free. Children discover new experiences and new sources of inspiration and enjoyment. Encouraged to explore on their own, children can direct their own learning by pursuing subjects that interest them. Without libraries, these childhood opportunities are lost forever. Pueblo a Pueblo believes that investing in school libraries and literacy programs fosters a lifelong love of learning. Assisted by our Pathways to Literacy project, public primary schools are establishing child-friendly school libraries, providing age-appropriate books and educational resources and developing teacher capacity through literacy training. Today, more than 1,200 children from rural coffee communities around Lake Atitlan, Guatemala, are engaged in daily library- and classroom-based literacy activities. 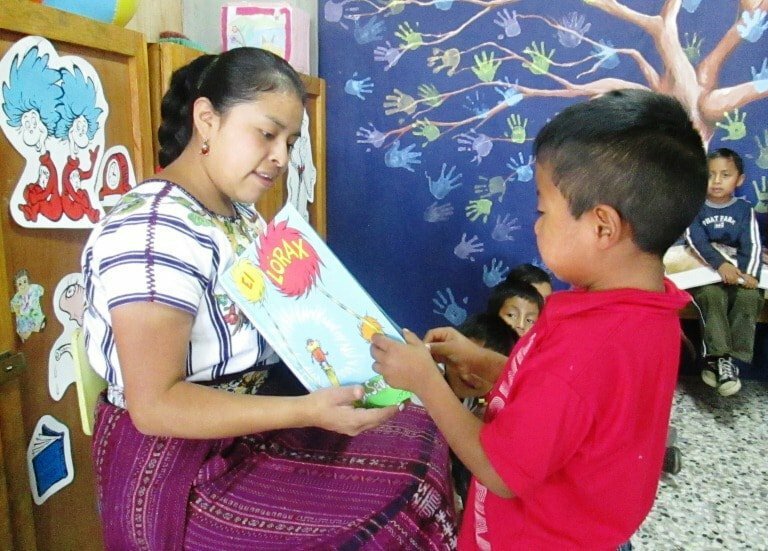 Guatemala has one of the lowest literacy rates in all of Latin America. Disproportionately affected are rural, often indigenous, coffee farming communities. The region around Lake Atitlan, an important coffee-producing region, is no exception. Children’s reading and comprehension achievement is stunted due to a systemic lack of access to literacy materials and trained educators. At the root of this illiteracy are impoverished communities and an educational system that fails to keep poor children in school or to offer them the basic skills they need to improve their lives. Pueblo a Pueblo’s program equips Guatemalan children with the skills and resources they need to stay in school, become literate, and thrive academically. We provide educators with training to use a broad range of teaching strategies to keep students engaged and interested while promoting learning opportunities for students to see beyond textbooks and classrooms. We engage older students who provide leadership by becoming “reading buddies,” enabling them to read to and work with younger students. By sponsoring literacy camps during school holidays, we engage children who may not be currently enrolled in school and encourage families to return their children to the classroom. Our ultimate aims are to create a love of reading and writing both inside and outside of school that will prepare children for lifelong success. Access to quality education, books and libraries are critical to ensuring that children in vulnerable coffee communities around Lake Atitlan have a brighter future. 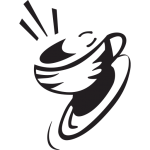 There are several ways you can help Pueblo a Pueblo promote literacy in Guatemalan coffee communities. You can donate money for books and resources or help fundraise for a library at a new school. Pueblo a Pueblo is also seeking opportunities to equip libraries with advanced technologies, such as e-books, to give students interactive tools to support and enhance early learning and literacy. For more information visit Pueblo a Pueblo’s website at www.puebloapueblo.org/. Project Impact: The project will directly impact 1200 primary school children and will impact another 2000 individuals indirectly through community outreach.